Watford and Crystal Palace will face each other at Wembley today in the Championship play-off final, the single most lucrative fixture in global sport. 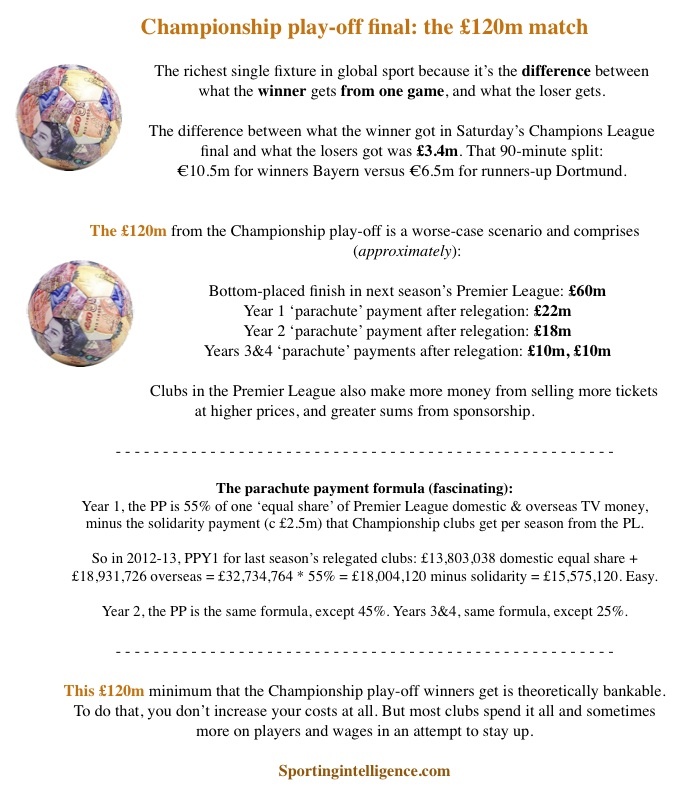 The graphic below explains how the £120m prize adds up. A feature on this site from 2010 (linked) gives further examples of how much other one-off occasions are worth.